Coconut Rice in Kerala Style is a homely and very popular delicacy in South Indian homes usually served with any curry as an accompaniment. Flavored in the richness of coconut milk and garnished with raisins and cashews, Coconut Rice in Kerala Style is a mouth watering dish that guests and family will adore. 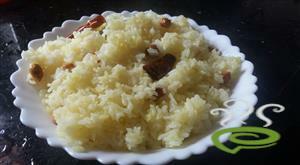 Coconut Rice in Kerala Style is unique and special with basmati rice cooked in aromatic coconut milk and garnished richly with raisins and cashews. 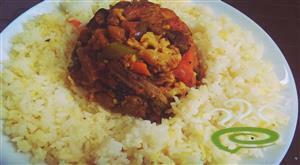 The dish is nutritious and soothing for your tummy and very wholesome too. 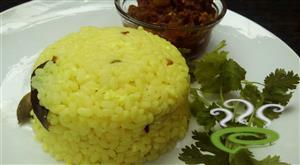 You can explore a well detailed Coconut Rice in Kerala Style here that can be easily prepared at home. For preparing coconut rice in kerala style, first add 2 cups water to the grated coconut and blend well in a mixer and sieve to extract 2 cups of coconut milk. Heat ghee in a wide bottomed pan and fry cinnamon, cloves and cardamom for a few seconds. Add crushed green chillies, curry leaves and onions. Saute for a few minutes until onion becomes soft. Add ground ginger and garlic and fry for a few minutes. When a frying smell comes add previously drained basmati rice. Fry the rice for a few minutes and stir in turmeric powder and required salt. Pour extracted coconut milk into the rice and allow to boil. Cover with a lid and cook in low flame until rice is done and water has evaporated completely. 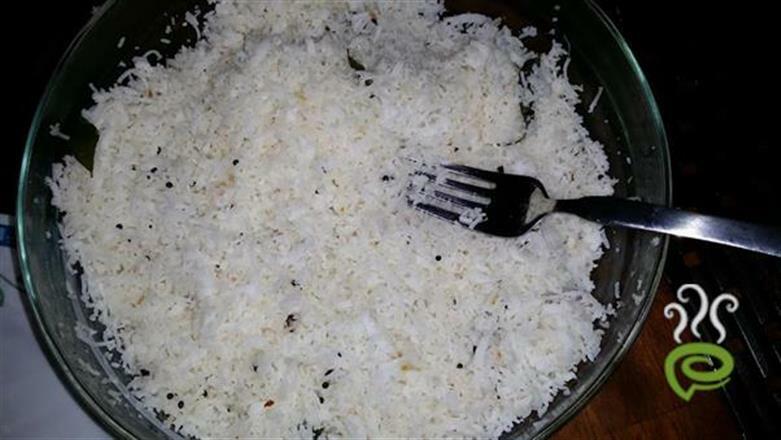 For garnishing coconut rice in kerala style, heat ghee and coconut oil in a pan. Fry cashew nuts, raisins and remove from fire. Fry onions to a golden brown color and remove from fire. 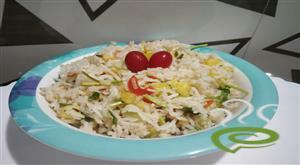 Coconut rice in kerala style is ready and garnish with cashew nuts, raisins and fried onions. 1)For accuracy, use the same cup for measuring basmati rice and coconut milk. Dear Madam, What do you serve this coconut rice with? Here in Malaysia, it is prepared in a slightly different way, but the main ingredient (i.e. the coconut milk) is the same. 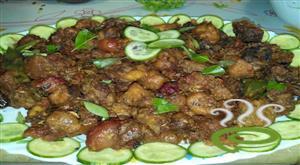 It is eaten with sambal and fried anchovies, groundnuts, cucumber slices and boiled egg. This is the basic "Nasi Lemak", a breakfast dish which is now eaten any time of the day, and with meat, chicken, squid etc. 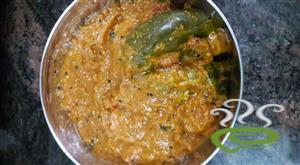 Sambal is a thick gravy cooked with ground dried chillies, onions, garlic, tamarind and if preferred, some coconut milk. 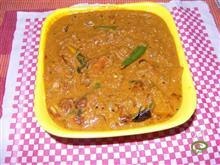 Do you have in Kerala cuisine, a gravy such as this sambal? You can see the recipe and picture here: http://rasamalaysia.com/nasi-lemak-recipe/ Thank you.